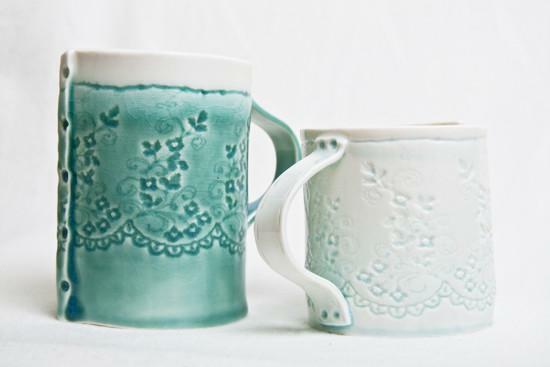 This pretty hand crafted porcelain mug has lace imprinted detail. 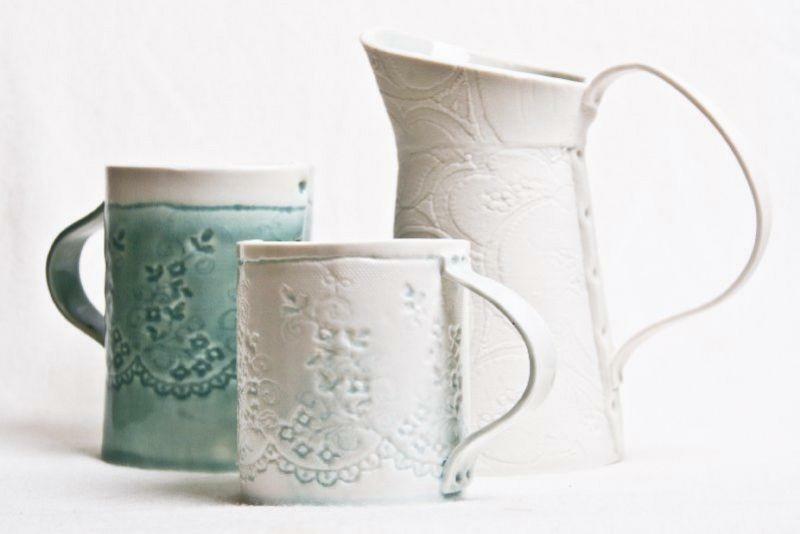 It is glazed with a fresh light blue glaze on the outside along with a clean clear glaze on the inside. It is pictured here with a taller aqua coffee mug and jug. The mug is high fired so it is dish washer safe.